Win a new school building worth £80,000! The deadline for entering this competition has now passed. Thank you to everyone who entered – we’ve had an absolutely phenomenal response! We’ll announce the six finalists and details on how TES members can vote for the winner shortly. 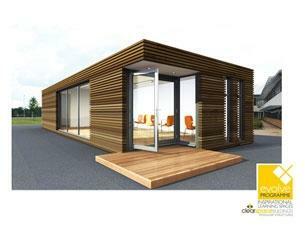 The buildings are part of Clearspace Buildings’ Evolve Programme, designed to create inspirational classroom spaces. In addition, Clearspace Buildings will arrange all the planning permissions, construction and finishing touches. For more information please check out the Evolve Programme on the Clearspace Buildings website. Check here for full terms and conditions. Please contact us if you have any questions.